Vivians Nipa Huts | Moalboal Hotels and Resorts | MoalboalGuide.com - your guide to amazing Moalboal, Cebu, Philippines! Simple furnished studio apartment/cottages a little off the beaten path. Each studio Includes a kitchen, aircon and TV with a patio. There is not much shade here so it may be a little hot at times. However, if you are on a budget and/or looking for a long-term place to stay with a kitchen, Vivian's is definitely worth checking out. Weekly/monthly rates should be available at a discount to the daily rate. 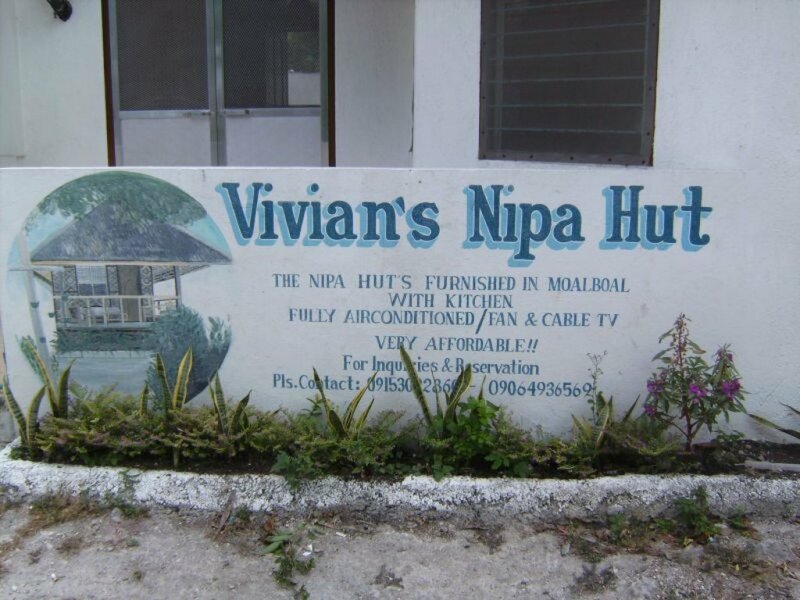 Vivian's Nipa Huts are located on the Love's Resort side of Panagsama Beach.